Welcome to the natural and touristic hotspot in the North island of New Zealand. Rotorua has it all: Activities, action and...geothermal activities. In fact, there is so much geothermal activity in Rotorua that people use it to heat their houses. Nowhere else in New Zealand can you watch this closely how a new landscape is created. But there is not only nature to see, there are so many activities in Rotorua, it’s hard not to get overwhelmed by choice! To prevent overwhelm, I suggest you read my list below and also the post on free things to do in Rotorua, which I will publish in a little while. In addition, the Rotorua i Site (tourist information) will surely love to help you choose. As many of the tourist attractions in Rotorua are several kilometers outside of the center, the easiest way to get around is with your own car. All hotels have plenty of parking available. When discovering the city itself, walking or cycling are the nicest options to make an awesome day. There is also a public bus around Rotorua which connects some of the nearby attractions. This is great when you’re on a budget. Are you on a tight budget? There are heaps of free attractions in Rotorua just waiting for you! Click here to discover free activities in Rotorua! One of the best things to do in Rotorua when you only have one day here, is to visit Te Puia. It combines a walk through their geothermal park with Maori culture. In Te Puia, you find Pohutu Geyser, a geyser that erupts up to 15 times per day. It is also home to the New Zealand Maori Arts and Crafts Institute, a school where the students learn how to carve wood, bone and pounamu, New Zealand jade. To make your day perfect, stay for the evening tour, where you first witness a show and then are invited to try a traditional Hangi. This Rotorua adventure is not for the faint-hearted. It combines the information of a forest conservation walk with the thrill of ziplining from tree to tree! The highest platform is 22m high and is followed by a 220 metres zipline madness! In between the zips you walk through the tree canopy on suspension bridges and learn about the New Zealand flora and fauna. Can it get any better than this? Doesn’t this sound just amazing? Of the many lakes in Rotorua, this kayaking adventure takes place on lake Rotoiti. 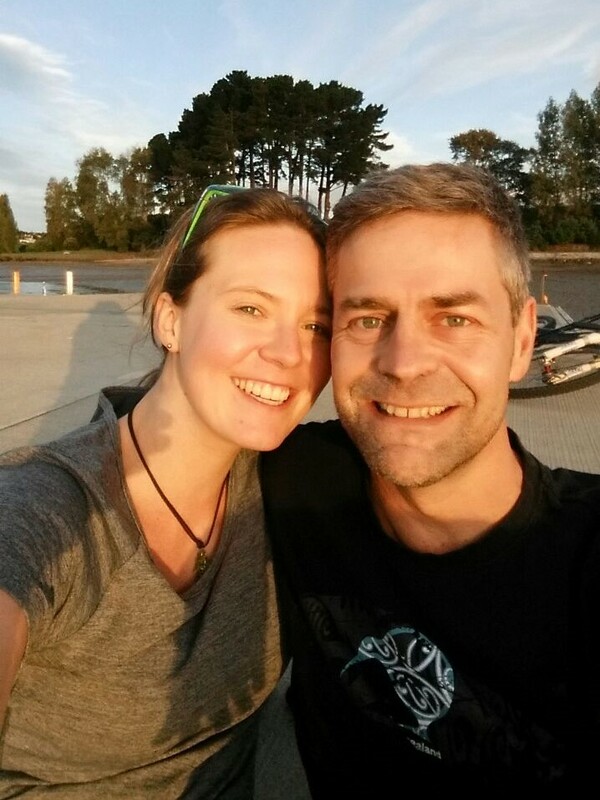 You get picked up at your Rotorua accommodation and are transferred to your launching place. You first receive an introduction in kayaking, and then you’re off. After about an hour of paddling, you reach the Manupirua Hot Pools. While you soak in one of the hot pools, your guide prepares a typical Kiwi BBQ for you. After dinner, you paddle back across the lake and visit a stunning glowworm cave to finish off your Rotorua kayaking day. There’s another great reason why visiting a geothermal area is awesome! All the thermal hot springs bring up an abundance of spas and hot water pools. Overlooking Sulphur Bay is the Polynesian Spa, one of the most popular spas in Rotorua. They have several pools at different temperatures to soak in and also offer massages and day spas to round out their menu. Other lovely spas are Waikite Valley Thermal Pools and Hell’s Gate Rotorua (combine your mud bath with a walk through the geothermal park), and if you’re on the way to Taupo, I suggest you make a stop at the wonderful Wairakei Terraces. Way back on a lovely evening in June 1886, a sudden explosion tore the sky apart and Mount Tarawera erupted. The eruption lasted for 6 hours, killed 120 people and destroyed the then-popular Pink and White Terraces. On the grounds where the village of Te Wairoa used to be is now a museum called Buried Village. It shows life as it used to be before the eruption and tells the stories of survivors of this disaster. Love New Zealand like I do? What’s your favourite place? Check out my 20 best places to visit in New Zealand! This is the must do in Rotorua! Probably the most famous of all the geothermal parks is Wai o tapu (meaning sacred water) and always ranks top of the list of fun things to do in Rotorua. This is for a good reason, as the park is the most colorful geothermal park in Rotorua and shows off all the beauty and ruggedness of an area where the crust of the earth is alarmingly thin. Make sure to arrive around 9.30am, to be ready when Lady Knox Geyser goes off at 10.15am. It will also give you enough time to walk through the park afterwards and take in all the colors and bubbling water. It’s well worth it to take your time here, and a good camera. This is one for the hikers and hot pool lovers. Tarawera trail is a tramp which will take you 15km through the forest and along the shores of lake Tarawera. Your morning starts with a water taxi across the magnificent lake Tarawera, to Hot Water Beach Rotorua where there’s also a campground if you want to stay for the night. After a first bath in the hot water in the lake, you make your way up and down the well-marked, undulating track. After the first walking hour, there is a non-marked path that turns off and leads you to the most serene hot water pool. Perfect for your (lunch) break. But don’t be fooled, the hike will take another 4 hours afterwards, so don’t get too lazy in the pools. It’s a lovely walk with plenty of rest stops and even 2 longdrop toilets in the middle of nowhere! If you’re looking some family fun for all ages, look no further. The Rotorua luge is perfect for everyone. You’re sitting in a cart that is somewhat similar to a go-kart with brakes, and race each other down the mountain. There are three tracks to choose from, depending on your skills and how fast you would like to go. There is even more to do and see on Mt. Ngongotaha, like a zipline, a scary sky swing, downhill park and restaurants. This place is one huge playground! You can either just book the luge, but you can also get the Half Day Adventure Pass which includes 5 luge rides, the zipline and the heart-stopping Skyswing! Sound too crazy? Apparently not for the thousands of people each year who do this. Zorbing is a Kiwi invention and you literally roll down a hill in an inflatable ball. You get to decide if you want to do this either in water or dry and whether it should go down straight or on a zig zag route. Very crazy, but you should definitely check out zorbing in Rotorua. Just dare it! If all the action of the Rotorua activities still wasn’t enough, how about dropping down the highest commercially rafted waterfall in the world? It’s 7 jaw-dropping meters high and I’m sure that will get your adrenaline pumping. There are plenty of companies who offer Kaituna river rafting and every thrill-seeker should try this. There is no guarantee you will stay in your raft after the drop or capsize, but that’s all part of the fun. Experience the fabulous Rotorua redwoods from a bird’s eye perspective as you walk from tree to tree via 23 safe suspension bridges. It’s a self-guided walk and while it’s lovely to walk through the green of the canopy by day, it’s even more impressive at night! A special light concept turns the place into a beautifully enchanted forest! After a hard day out enjoying all the attractions in Rotorua, you definitely need something yummy to bite. Eat Street has the most restaurants in Rotorua, and all under one roof. This part of the street is covered by a roof, for pedestrians only and no matter whether you’re hungry for dinner, dessert or just thirsty for a drink, Eat Street has it. Enjoy! Dinner time! Let's find out about restaurants on Eat Streat here! Rotorua is a year-round destination and there is no season that’s really better than the other. High season is from about December to February, where the best weather and the least rain can be expected. But it’s also the season with the most tourists and finding accommodation can become a bit of a mission. Probably the best time to visit Rotorua is the shoulder season just before and just after high season as the chances for nice weather are good but the amount of people is low. However, winter (which is around July in the Southern Hemisphere) isn’t such a bad time either, as you will be able to truly enjoy all the hot springs in the area and see a lot more of the steam! 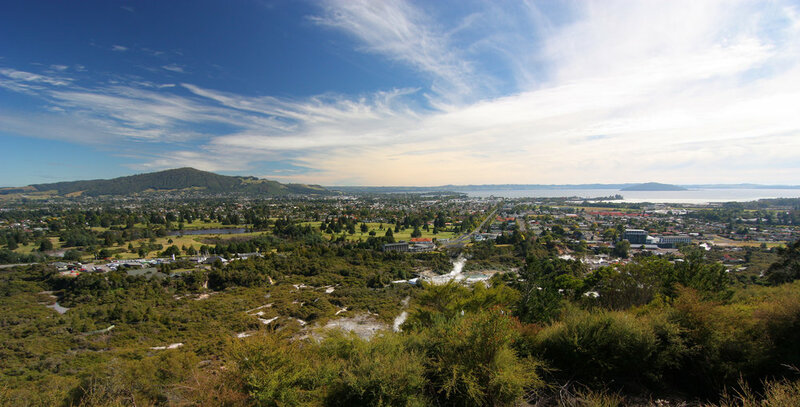 There is an excellent range of places to stay in Rotorua to suit every budget and depending on your list of things to do in Rotorua it makes sense to have a more-or-less central base. This very basic campsite is managed by the Department of Conservation and is located outside of Rotorua directly on lake Okareka. The only facilities are longdrop toilets and a cooking shelter but you’ll have a million stars above you at night. Family operated motel about 10 minutes’ walk from the city center. The rooms have a fridge and tea and coffee and it’s one of the only places in Rotorua that offers a small, but lovely breakfast. Best value for money in Town! If you feel like splashing out and staying at a very special place, you should book a night or two at the Treetops Lodge Rotorua. It’s about 20km out of Rotorua, in the middle of a forest and caters to every need you might have while indulging in luxury. No matter if it’s summer or winter you will always need layers of clothes. New Zealand is famous for their “3 seasons in one day”. It can easily be balmy and warm one minute, windy the next and pouring down a moment later. Be prepared for everything. Apart from this, it’s better to be wearing comfortable clothes and sneakers as you will be walking around a lot. Don’t forget your sunscreen, the New Zealand sun is ultra-strong! Tip: On your way from Auckland to Rotorua (or going the other way), take a break in Tirau which is famous for their corrugated iron art. What's your experience with Rotorua? Do you know an attraction not to miss in Rotorua that I didn't mention? Let me know in the comments below. You might also enjoy to find out what there's to do and see in the Bay of Islands and the rest of Northland and fun things to do in Tauranga and Mount Maunganui. Must-do: Make Rotorua part of your North Island Itinerary.